We’ll start by creating a scatter plot of the XY data in our worksheet. Then we’ll delete the Legend and then open the Axis Dialog with the X axis (Horizontal) selected. 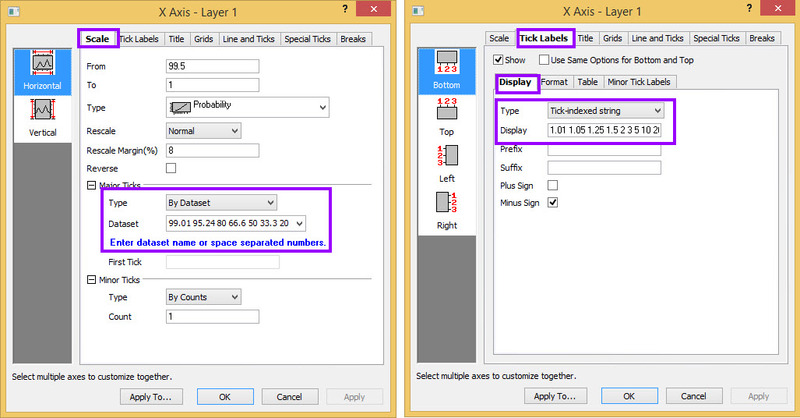 In the Scale tab for the axis, set the From to 99.5 and To to 1. Then set the axis Type to Probability (see below). Now click OK and we’ll have our basic graph. 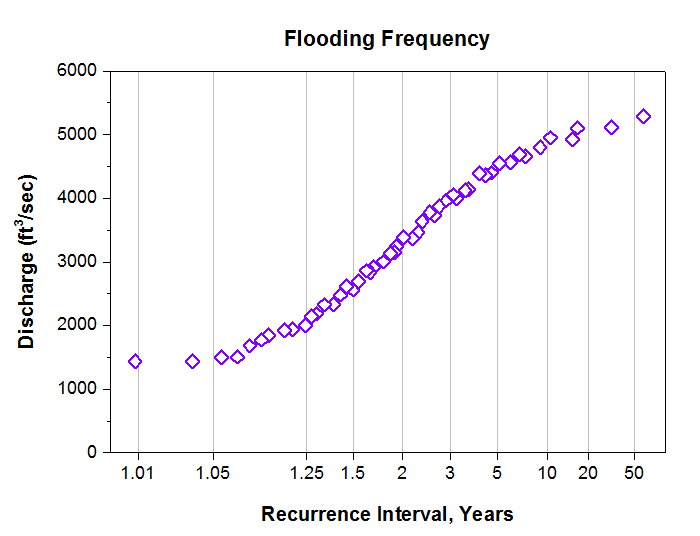 We now want to convert the X-axis to display Recurrence Intervals, a notation used by hydrologists to express probability. We will use the numbers in the following table to customize both the tick positions and labels. Notice that the text is all of our tick position values from the table above with each value being separated by a space character. This will cause Origin to only show ticks at those axis positions. This causes Origin to associate the custom labels with the custom tick positions we defined based on the index of each value. Alternately, we can use a formula to define our tick labels instead of hard-coding them. Reopen the Axis dialog and return to the Display sub-tab of the Tick Labels tab. This time, set the Type to Numeric, the Display to Custom, and the Custom Format to .2* (see below). In the Formula edit box, enter 100/x. In this formula, the x values are the values we previously entered in the Major Tick Type: By Dataset while the Custom Format tells Origin to display the values to 2 decimals places but also to drop trailing zeros. 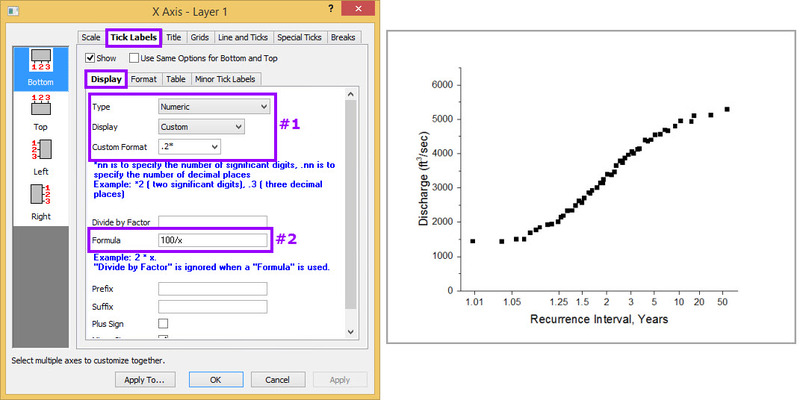 Using this method produces the same results as hard-coding the tick labels.